I spent so much time these last few years writing, I almost forgot how to read. Well, that’s going to change. Since my last update I’ve read half a dozen novels and have a list for future reading that is growing faster than I can whittle it down. …followed by the journal text. It’ll take some time before I get the whole thing reformatted, but it’s as good an excuse as any for another good old fashioned editing spree. 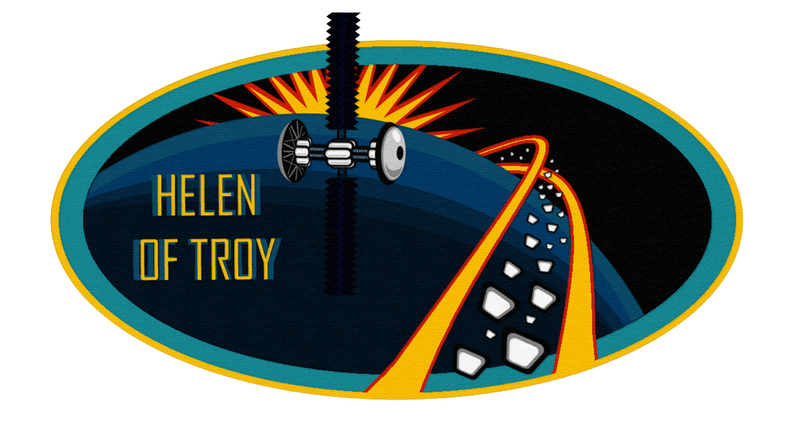 Helen has a mission patch now, and some updated information. It can be found in Helen of Troy and Exploratory Missions. This entry was posted in changes, helen of troy, me, missions, odyssey I, species. Bookmark the permalink.